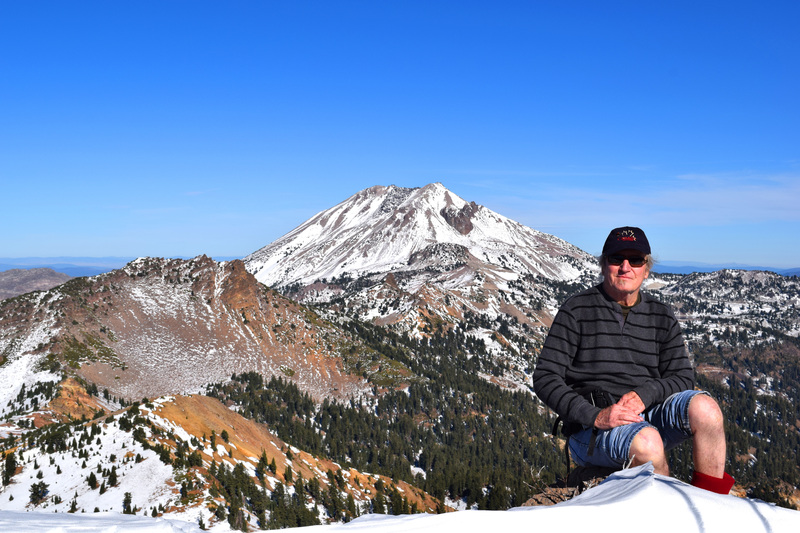 The photo shows Mount Lassen over my shoulder, taken from the peak of Brokeoff Mountain. The trail to get to where I am sitting is 7.4 miles, round trip, with an elevation gain of 2,600 feet. (And then, of course, you have to come down again.) The peak itself is 9,235 feet. On the day I hiked there, the weather was clear and wonderful, but the snow on the ground ranged from ankle deep to past my knees. I had absolutely no trouble with my knee on the day of the hike, nor afterwards. 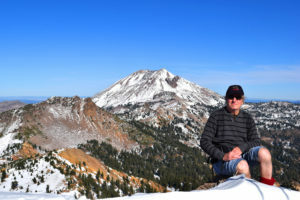 I made the hike on November 6, 2015, less than three months after total knee replacement surgery (August 10th). Again, thanks so much, Brenda, for all your help and your rapid response to every question I had.